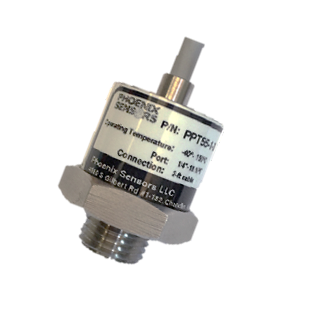 The high pressure high temperature transducer PPT55 is built in the United States and maintains a high operating temperature (150C+) range for the most challenging applications. 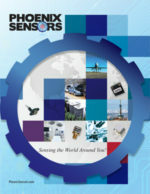 Oil and Gas, medical, industrial, and military applications are some of the more common uses for this sensing technology. 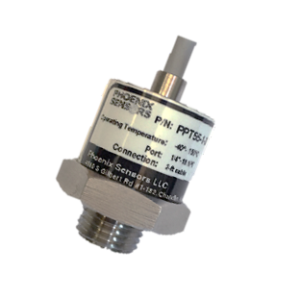 This MEMS based pressure transducer was designed for demanding industrial, military (ITAR compliant), oil/gas, and commercial applications where small size is the challenge. Our high pressure transducer can be calibrated to 5,000PSI with accuracies down to .25% of full scale. The stainless steel media isolated port design allows for pressure measurement of liquid, gas, or other caustic media.